At what age should one have the first Orthodontic appointment? According to American Association of Orthodontists, the first appointment should be at the age of seven as that is when milk teeth give way to permanent teeth. A number of cases could result like when the upper front teeth start to develop behind the lower front teeth or the lower jaw appears too big as the growth of the upper jaw gets inhibited because it is locked by the lower jaw. Such cases can be nipped in the bud if detected early with simple treatment for a month or two, as opposed to the child having to undergo extensive therapy followed by long term braces wear. How does Orthodontic treatment promote Oral hygiene? Sometimes, teeth are positioned in a way that cannot be sufficiently cleaned – mostly due to crowding. This leads to cavities and loss of teeth. Getting the teeth in a straight line helps keep teeth clean. Poor oral hygiene can lead to systemic diseases including bacterial endocarditis (heart condition), oral malodour as also precipitate premature deliveries in pregnant women. Are braces only meant for children? My oldest patient is 52 years old. As long as you have healthy bones and respectably good gum condition, tooth movement is given a green signal. A popular misconception is that braces are used for enhancing smiles, but orthodontists are known to also correct and balance a bite and occlusion. Many of my patients come once they start earning and are in their twenties and thirties. Do braces make teeth loose/weak? Aligners are transparent, clear biocompatible plastic alternatives to braces, meant mainly for those who are unable to wear braces either due to age or social embarrassment. Many simply hate the idea of metal braces, while some are allergic. In such cases aligners are the more comfortable option. Extractions are not necessary in all cases. When the jaw is not big enough to hold all the teeth or if the teeth are jutting out too much, then extractions may be necessary. A trend these days globally, is the facial concept, wherein we synchronise the shape of the nose to lip angulations and then decide on extractions depending on radiographic (X-ray) measurements. There is also the new type of braces or ‘Invisalign’, which I recommend as it has greatly reduced and eliminated the need for extractions. In trying out the system we have mostly been successful in not extracting. Why do we have to wear Retainers? Just like our skin, the soft tissues surrounding our teeth are made of elastin and collagen fibres. When we take off the braces, the forces are all of a sudden released, leading to relaxation of the elastin fibres which jump back, like a stretched rubber band. The teeth won’t get back to the original malposition but loose the perfect positioning achieved in the mouth. 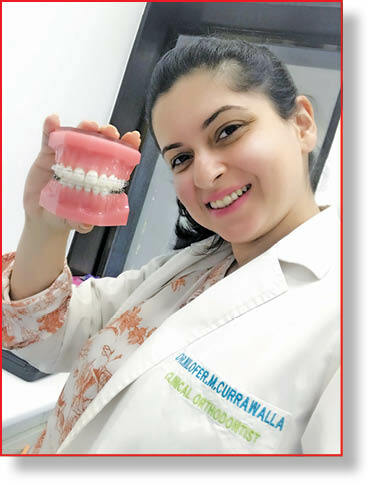 It is important to wear retainers to maintain the new position of the teeth in the mouth, until all the tissues are restructured at a microscopic level to the new positions. I personally inform the patient about retainers at the beginning of treatment. Invisalign are clear plastic braces/aligners. They were the pioneers in aligner technology to straighten teeth and have been there in the US since 1997. In India they were launched in September 2016. The USP of aligners lies in the fact that you don’t have any eating restrictions, the ‘braces’ are technically removable, there is no sharpness of metal/ceramic, which may or may not initially cause discomfort. You get to see what your teeth look like at the end of the treatment even before treatment starts! 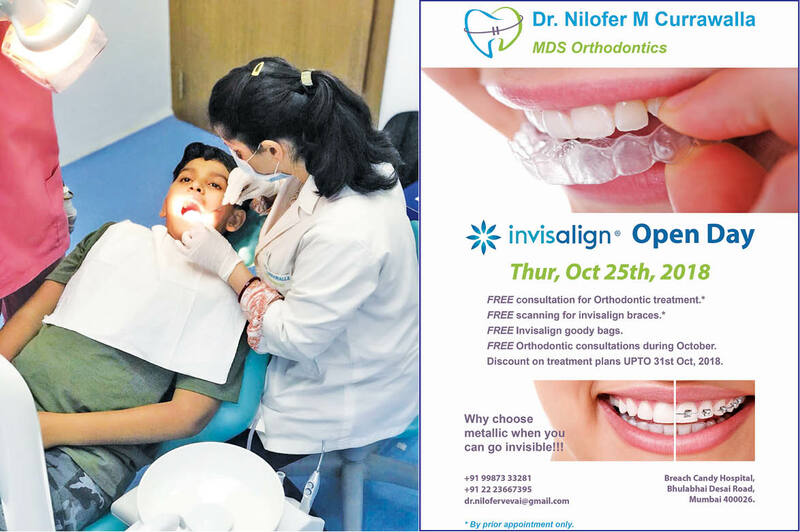 Follow Nilofer on her instagram account: ‘thebracesdiaries’. All Eyes On Dr. Cyres In Vienna!